Video: CNN Business: 'Glass cliff' For Women in the News Business. Video: CNBC: Men's Guide for Women in the Workplace. Video: The SEMA Show: The Role of Unconscious Bias. Financial Times' Gillian Tett on sexual harassment: Every business needs to recognize that the culture is changing from CNBC. Video: CNBC: Where's the She-Wolf of Wall Street? 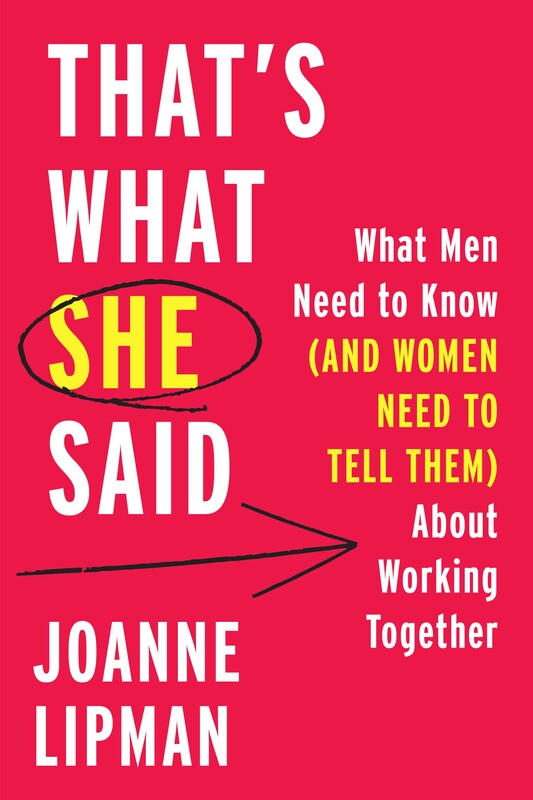 Joanne Lipman is the author of That’s What She Said: What Men Need to Know (and Women Need to Tell Them) About Working Together (William Morrow). A veteran journalist, she has served as Content Officer of Gannett, and Editor-in-Chief of USA TODAY. She began her career as a reporter for The Wall Street Journal, ultimately rising to deputy managing editor—the first woman to attain that post—and supervising coverage that won three Pulitzer Prizes. Subsequently, she was founding editor-in-chief of Portfolio magazine and portfolio.com, which won Loeb and National Magazine Awards. Filled with illuminating anecdotes, data from the most recent studies, and stories from Lipman’s own journey to the top of a male-dominated industry, That’s What She Said shows how we can win by reaching across the gender divide. Throughout the book Lipman explains why empowering women as true equals is an essential goal for women and men—and offers a roadmap for getting there. That’s What She Said solves for: the respect gap, unconscious bias, sexual harassment, interruptions, the pay and promotion gap, being heard, the motherhood penalty, “bropropriation” and “mansplaining,” and more. Lipman has pioneered integrating gender equality into the workplace. She has written on the topic for publications including The Wall Street Journal, the New York Times, USA TODAY and Time. As one of the most senior women in the media industry, she has actively promoted women in the newsrooms she leads. Lipman is a frequent speaker about women in the workplace. She has addressed mixed-gender groups at major law firms, banks, professional and civic organizations, on issues such as unconscious bias, women in leadership, and bringing men into the conversation about gender equality. Recent speaking engagements on women's issues include the Aspen Ideas Festival, the World Economic Forum in Davos, and Women in Cable Television's national leadership conference, which she keynoted with Katie Couric. 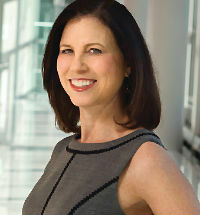 Lipman is a winner of the Matrix Award for women in media. She and her husband live in New York City and are the parents of two children. “Joanne Lipman leaves her soapbox at home, rolls up her sleeves, and provides real solutions to complex problems. Her valuable insights are a tool kit for men and women to not only work alongside each other but to bring out each other’s best."